Ladies, it's time. It's February 1st. We promised you a pre-order and a pre-order you shall have! 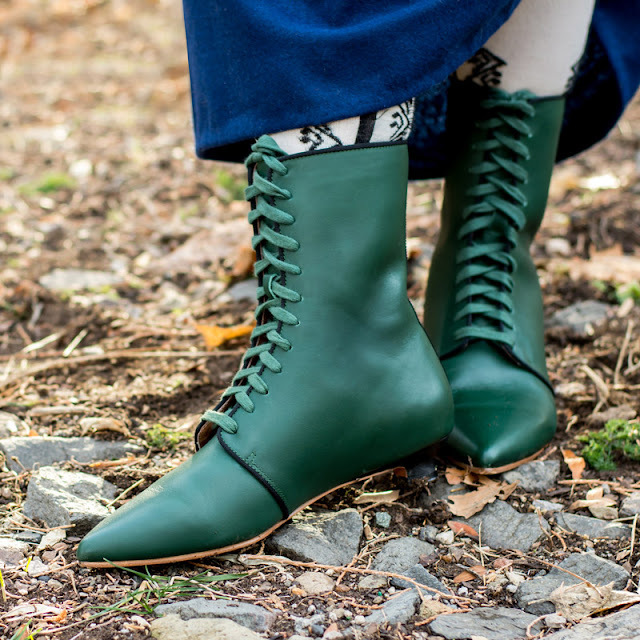 Based on several original late 18th century riding boots, we've done our version in black leather and also a wonderful pine green with black trim. Mansfields are accurate for c. 1785 - 1805 and are on sale for $179 ($199). 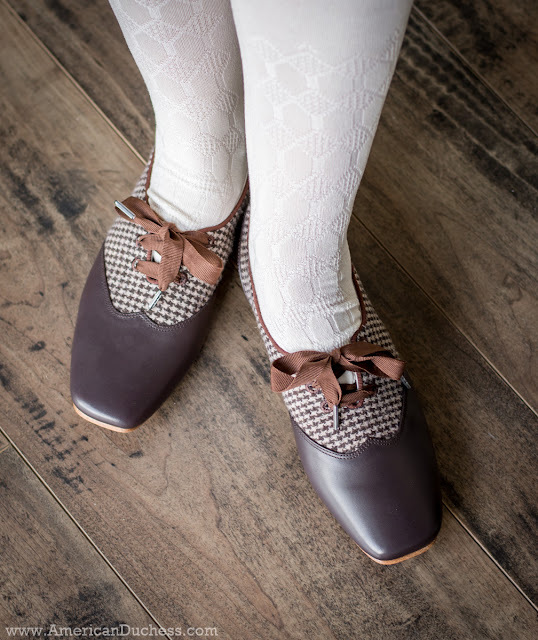 The cutest little early Victorian shoes you'll ever see, the Eliza split-vamp "slipoxfords" (we just made that up) are the classic wool-and-leather style so popular from the 1830s-1860. 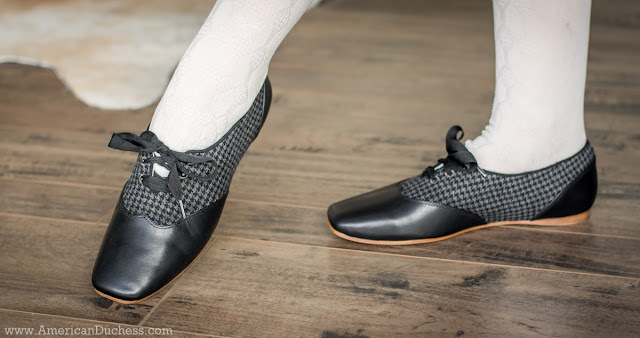 We've used an adorable houndstooth check for the wool, seen on multiple extant examples, and paired it with deep leather foxing on the toe and heel, flat leather soles, and petersham laces. Elizas are available in brown and grey/black and are on sale for $125 ($145). Meet Tissot 2.0, our new and improved mid-Victorian pump. The new Tissots are leather lined in textile and come with the most bodacious clip-on rosettes. 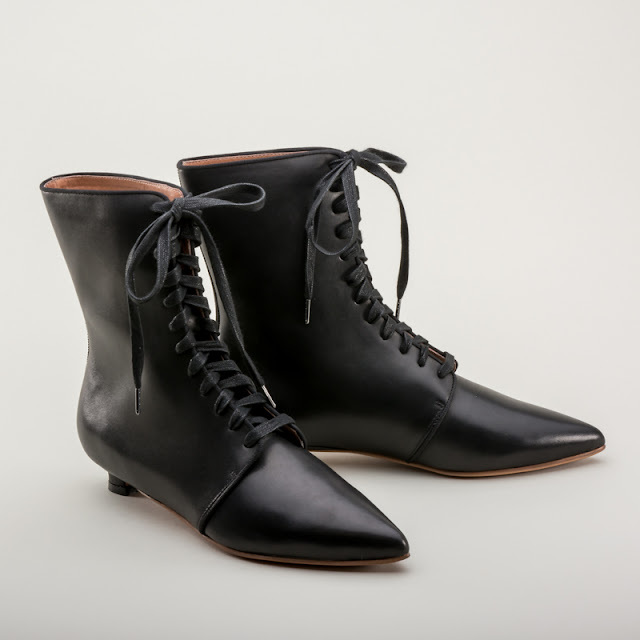 Softly-squared toes and 1.5 inch knock-on heels designed from originals, the Tissots are epic for the 1850s all the way through the mid-1880s. 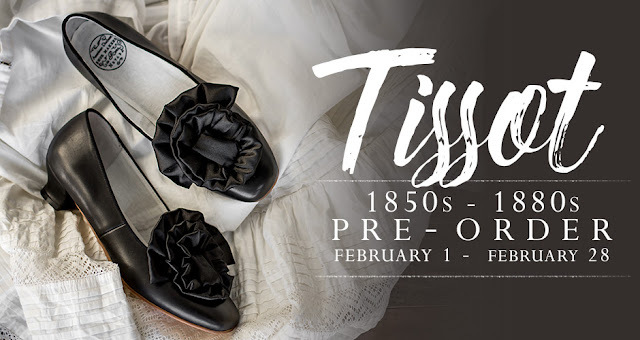 Tissots come in black or ivory and are on pre-order sale for $135 ($155). Amelie Satin Pumps with clip-on bows - size luminous colors available! 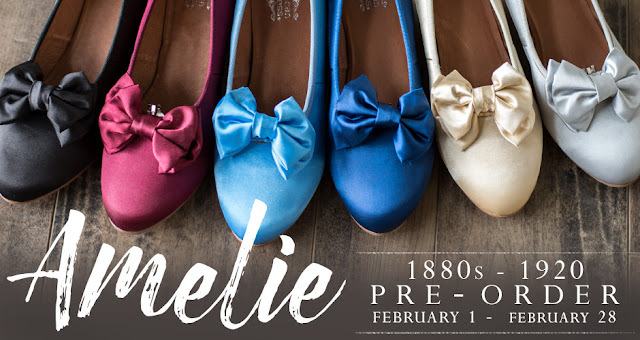 For the first time we are able to offer a selection of colorways in our new Amelie evening pumps! These adorable court pumps are made in luminous satin, lined in leather, and come with matching clip-on bows. Leather soles and our classic 1.75" French heel complete the design. 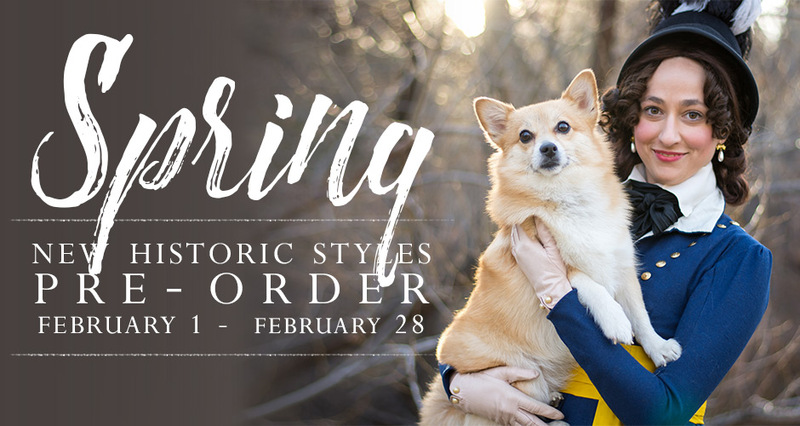 *We only have 80 pairs of berry, candlelight, royal blue, silver, and sky blue so don't wait to order! * (Black are our regular full stock of 200) Amelies are excellent for c. 1880 - 1920 and are on sale for $100 ($120). Clip-on double bows in size colors (sold in pairs) - add these satin bows to just about any shoes for a new look. 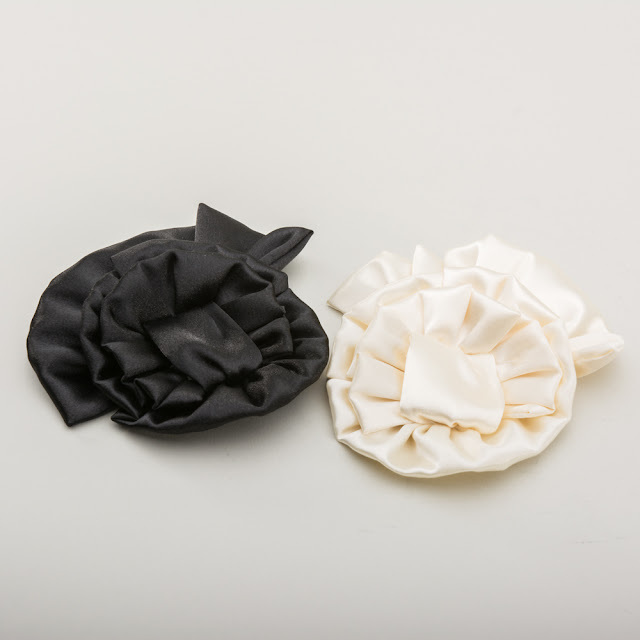 Large satin clip-on rosettes in black or ivory (sold in pairs). 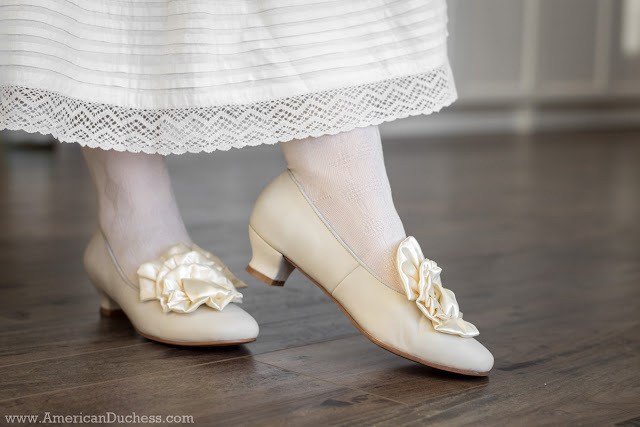 Clip these on to pumps or flats for instant Victoriana. Who doesn't like a little mix-and-match? 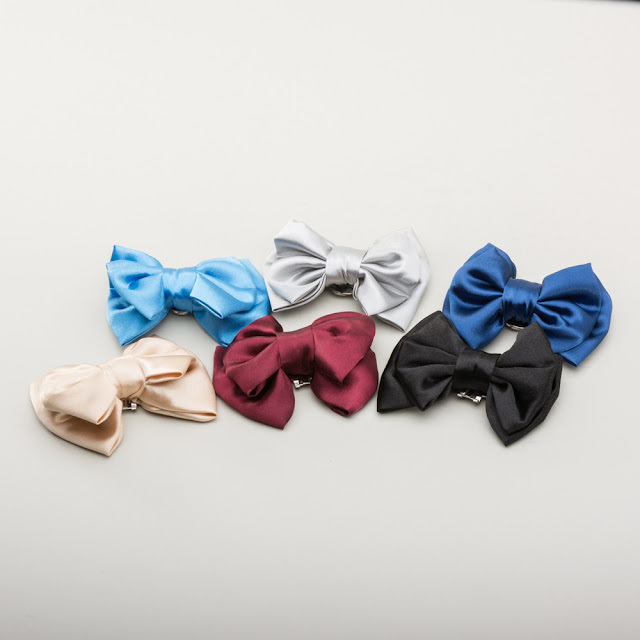 We have all six colors of the Amelie satin double-bow clips available as well as the ivory and black Tissot satin rosette clips. Easily clip these adornments onto just about any pump or flat for insta-historical-cuteness. The clips and rosettes are available in the Accessories section. We would like to congratulate Nicole Rudolph on her first collection release with American Duchess. It was a pleasure to work with Nicole and we look forward to many more beautiful styles in the future!